By default, the services that are displayed within the Share Layer are different for each individual user that visits your site. This is based on the user’s past sharing history, and the services that are most popular. Rather than having the default Preferred Services you can modify your Smart Layers code to choose which services will always appear for your visitors. But, I Want Them Over There! Once you have the share buttons in the right spot, you might think to yourself that the hover color would look cooler if it were pumpkin-orange to match your jack o’lanterns rather than the default blue. 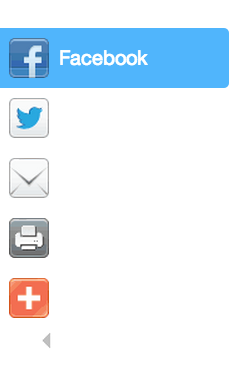 The Smart Layers API provides many other configuration options for the share buttons. For example, you can choose whether you want the Layer to appear only on desktops or mobile devices. 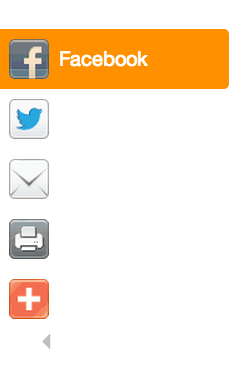 You can also change the theme, or change the text displayed after sharing a page. If you have any suggestions for additional options that should be included in a future release, we’d be interested in hearing about them!